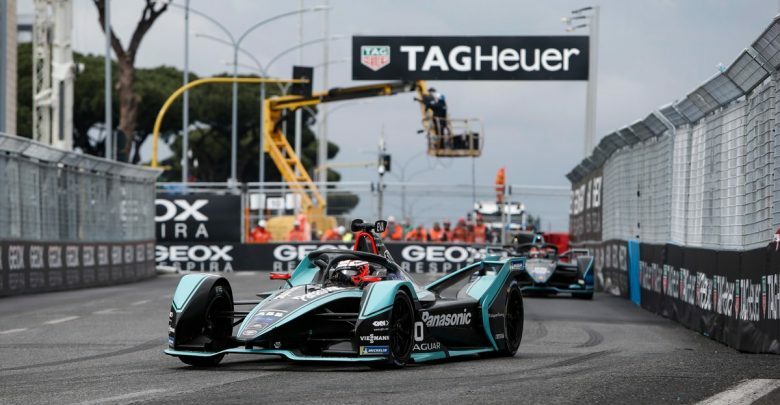 Mitch Evans claimed his and Jaguar Racing’s first ABB FIA Formula E Championship victory in Rome, while Stoffel Vandoorne scored his maiden podium. 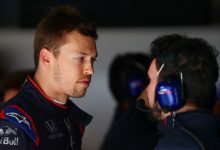 Evans got a better start from the front row of the grid than polesitter DS Techeetah’s Andre Lotterer, but the German defended into the first corner and held the lead. 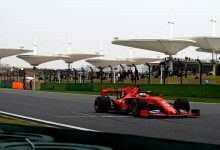 The race was quickly halted as a pile-up in the twisty final sector, caused by Jose Maria Lopez going into the barriers which collected HWA Racelab’s Gary Paffett and reigning champion Jean-Eric Vergne, brought out the red flag. When the race resumed Evans followed Lotterer, conserving energy before activating his Attack Mode boost halfway through the race. He closed back up on the Techeetah before putting on a hard move at the Turns 11/12 chicane to claim the lead. Lotterer elected to use his second Attack Mode before Evans this time and has he closed up on the Jaguar, Evans attempted to use his but missed the activation zone, putting Lotterer right on his rear. With less than five minutes of the race left, Evans was able to pull enough of a margin to take the Attack Mode again and retain the lead, despite Lotterer drawing alongside him at the following corner. Evans has become the seventh different consecutive winner from the seventh different team in the first seven rounds of the 2018/19 season. 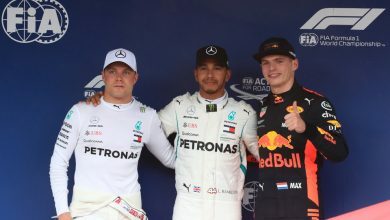 HWA’s Vandoorne picked up a place at the start from Lopez to secure third, and initially matched the leaders’ pace but dropped away towards the end of the race. 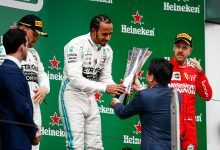 He claimed his first and the team’s first podium in the series before his Venturi-powered car broke down on the cool down lap. Robin Frijns put a late move on 2015/16 champion Sebastien Buemi from fourth, having risen from eighth on the grid. Oliver Rowland was sixth in the second Nissan e.dams from 10th at the start. 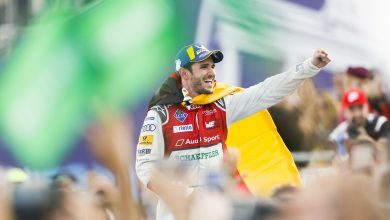 2016/17 champion Lucas di Grassi came up from 13th on the grid to seventh, ahead of Jerome d’Ambrosio who started 19th, and Antonio Felix da Costa. 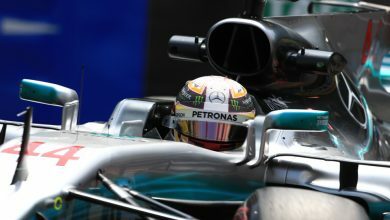 Pascal Wehrlein completed the top 10. 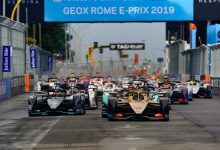 After being involved the red-flag inducing incident, the Techeetah team were able to repair Jean-Eric Vergne’s car and he recovered to the points but was given a drive-through penalty for overtaking da Costa under full course yellow conditions. Sam Bird also missed out on points after his Envision Virgin Racing team had to repair his car following a collision with Lopez on the opening lap which at first looked to have put him out of the race. Alex Lynn was 12th from the back row of the grid on his Jaguar debut. Alexander Sims started last after a mechanical failure in qualifying, which required a change of motor, inverter and gearbox on his BMW Andretti, giving him a 10-second stop/go penalty. He finished 17th ahead of Daniel Abt who was a lap down after he hit the escape road. Max Guenther failed to make the chequered flag having run out of energy on the final lap. 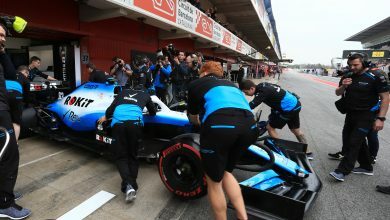 Venturi had both their cars running in the points but Edoardo Mortara and Felipe Massa retired with mechanical failures. The result gives d’Ambrosio back the championship lead on 65 points, one ahead of da Costa and three ahead of Lotterer. 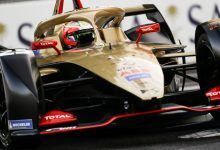 DS Techeetah reclaim the teams’ standings lead by seven points of Virgin.